Part of its many community development initiatives, JG Summit Petrochemicals Group (JGSPG) marked the love month with a back-to-back medical mission on February 14 and 15 in Barangays Simlong and Pinamucan Ibaba, Batangas City. 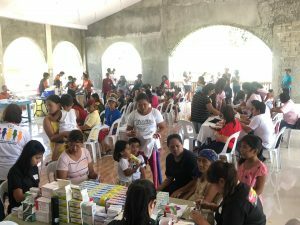 600 residents from the two communities received free medical consultation and basic laboratory services including blood test, urinalysis, and X-ray. Medicines were also provided for free. A mobile clinic was deployed in the two barangays with doctors and nurses from the Department of Health. 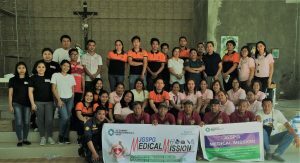 Each barangay received medical apparatus, medicines, and other supplies. Community health workers helped identify the beneficiaries through a survey conducted in September 2018, which also identified the most common illnesses in the two areas.